The world is full of crazy inventions and even crazier inventors whacky enough to think them up in the first place! You know what they say – there’s a fine line between genius and a crackpot! 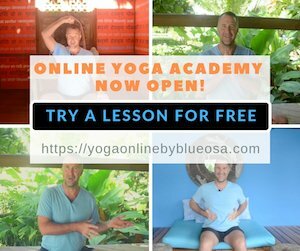 All labels aside, at a time where the health of our environment seems to be deteriorating at an exponential rate, we should thank our lucky stars we have people willing and wild enough to put forth their ideas and inventions that are earth conscious and certainly a step in the right direction. Here’s a list of some of the craziest and coolest eco inventions you’re ever going to see! Why not start with the craziest first? With global warming heating up the earth, slowly causing sea levels to rise, it’s no wonder we’re starting to get concerned about the potential drowning and displacement of low-lying areas over the next century. Kiribati, an island nation in the middle of the Pacific Ocean, is one of the earliest clear-cut victims of climate change. 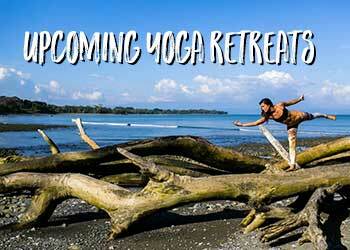 Its highest points on the main island are no more than two meters above sea level. 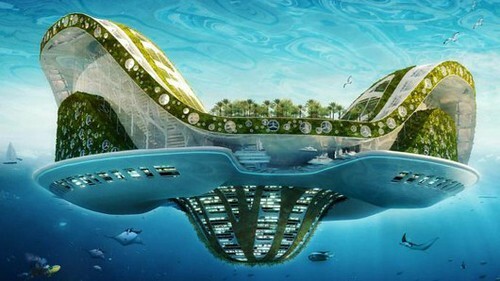 Thankfully, Vincent Callebaut has designed Lilypads – self-sufficient floating cities that would accommodate up to 50,000 residents. It’s shape inspired by Victoria water lilies, these stand-alone eco-cities are to be made of polyester fibres and feature mountains and marinas – allowing for work, shopping and entertainment. Aquaculture farms and suspended gardens would be located below the water line, and the cities would run on renewable energy. All that seems to be missing here are schools and health clinics, but hey, it’s still in its early stages of development! Whatever the case, the Lilypad is a green concept that is a giant leap in the right direction. This eco-invention takes the going green concept literally, with the design of green moss carpet. We all hate to slip and slide in the shower or when hopping out of the tub, so it makes perfect sense to have a nice, cushy, green moss carpet to press our feet onto on the way out. Rubber and plastic mats will soon be obsolete as the way of the future is sure to be the environmentally friendly moss carpet, designed by La Chanh Nguyen. 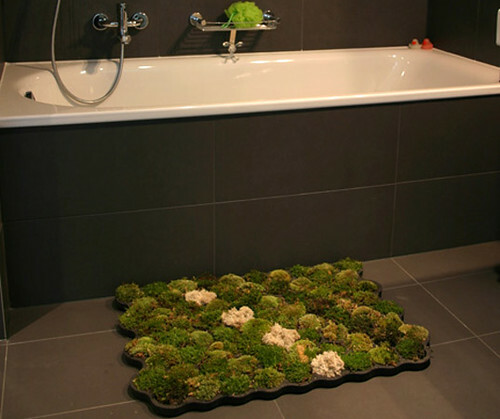 This living bathmat features three types of green mosses – forest, island and ball moss – that grow on plastazote (what!?) – A decay-free, recycled latex foam. The beauty of the moss is that it flourishes in damp and humid places, making your bathroom the perfect location. With this low-maintenance product, even the green-thumbless will have no trouble keeping this moss alive! Ok, now this one has to be seen to be believed. Yes, that’s right, a solar bikini. What better way to get your tan on than by kickin’ it in your sun-powered bikini, rockin’ out listening to music on a device being charged by said bikini all the while you can rest easy, knowing your iPod or phone won’t go flat. Ah, what a beautiful world we live in. Andrew Schneiders designed this legendary device with photovoltaic film panels and a USB connection as part of a student project for the Interactive Telecommunications Program at NYU. And don’t fret lads, he claims the male version of this eco bikini, the ‘Solar Budgie Smugler’ is coming soon! All right, this definitely fits in the ‘What The @#$%’ category, but hey, we said we’d list some of the best and craziest eco inventions so here we go. Presenting… the Fishbowl Sink. We talk a lot in Advertising about tugging at the emotions of consumers to get them to engage and connected with a particular product or service. 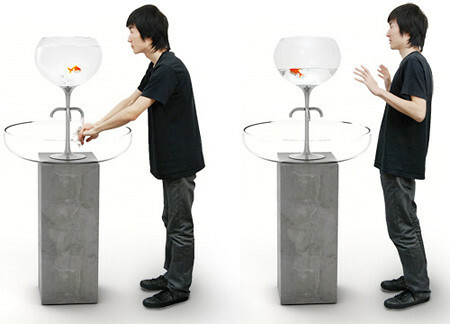 The Fishbowl Sink takes that idea to a whole new level. People will certainly think twice about leaving the tap running when brushing their teeth if there’s the threat of a fish dying on the other end of it. Well, one should hope people would think twice. If this doesn’t get you to turn the water off while you brush, surely nothing will. With this sink/fishbowl combination, the amount of water your pet has to swim in is solely determined by how much water you use when brushing. The tap water’s pipeline isn’t connected to the bowl so the water is pure, and designer Yan Lu assures us the water never actually drains out completely. So that’s a plus! But while the water does eventually return to a normal, safe level when the tap is off, the fish’s safety (and sanity) will really be put to the test if an environment, though technically eco-friendly, is constantly fluctuated and being messed with. What does the creator have to say about his water saving invention? Lu says his innovative sink is “an emotional way to persuade consumers to think about saving water,” but PETA immediately sent him a letter stating, “environmental education does not require cruelty to animals.” Maybe it doesn’t, but this certainly is one way of promoting water-saving techniques and awareness, and it’s eco-friendly and crazy, so it stays! I hate changing the ink cartridge on the printer just as much as I hate how the cartridges can’t be recycled efficiently. So this invention really struck a chord. 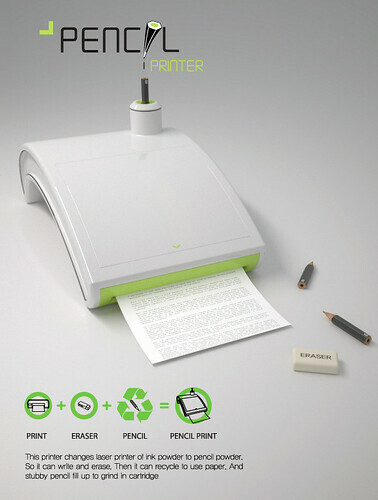 When this invention becomes a reality, you’ll never have to throw away a pencil stub again or fork out for another ink cartridge. Hoyoung Lee’s pencil printer separates wood from pencils using the lead to print documents. Better still, there’s a built-in eraser component that allows the user to remove text from pages so you can reuse over and over – so you’re saving money and the environment. I may still detest writing with pencils, but hey I’ll take a pencil printer over having to replace another ink cartridge every time! 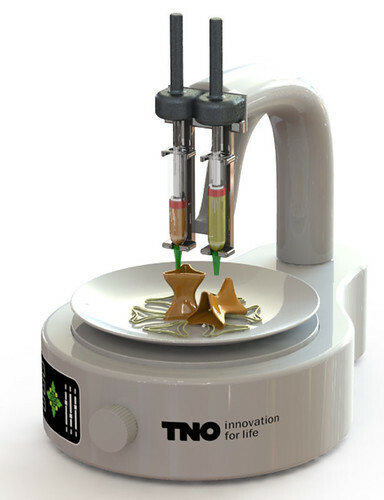 A world where you can print your dinner with the click of a button? Yes please. We all know cigarettes are bad for us – like drinking, tanning, and fast food – but we do it anyway – we’re silly like that. Cigarettes arguably have the most dangerous long-term effects yet we know millions of people smoke every day. Just as hazardous as cigarettes are to our health are the negative effects the carelessly disposed butts have on our environment. Just think about how many cigarette butts you stepped over on your way to work today? Being a non-smoker simple adds to the frustration. Thankfully, one woman has come up with a way to turn those butts into clothing. Chilean designer Alexandra Guerrero proposes that by recycling the discarded nicotine-repositories, stylish, durable material can been made into clothing. It would need to go through proper sterilisation processes, of course, but once washed with a special solvent, the butts would be ready to be rinsed, dried and shredded. The fibres are then spun together with natural sheep wool and turned into different articles of clothing; such as hats, parkers, vests and ponchos, cool huh? Now we’re talking – This is more than an invention, this is a movement! Britain’s first eco-nightclub ‘Surya’ first opened in London in 2008. 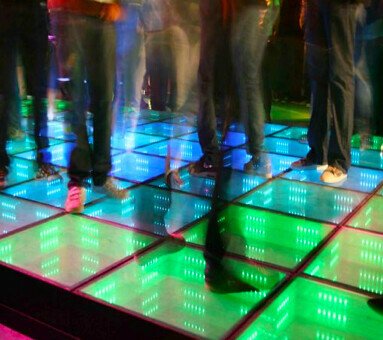 With its own wind turbine and solar energy system, the-tech dance floor generates its own electricity when people walk (or dance) on it. The eco-club is not only using the energy generated for the venue but also providing surplus energy to local residents. The Eco-friendly venue has the latest air flush, waterless urinals and low flush toilets and even sells drinks in poly-carbon cups! Entry won’t cost you an arm and a leg wither, with a $10 cover charge and also the compulsory signing of a pledge to help work towards curbing climate change. Oh and the real kicker? Cyclists and walkers get in for free! Who would’ve thought that you could go out partying and dancing, while simultaneously acting in positive action for our environment? While our world might not be in great shape, it’s inventions like these, and so many more out there that are steering us in a more positive direction. It’s these whacky inventions and their inventors pushing us to go green and helping to save our planet! 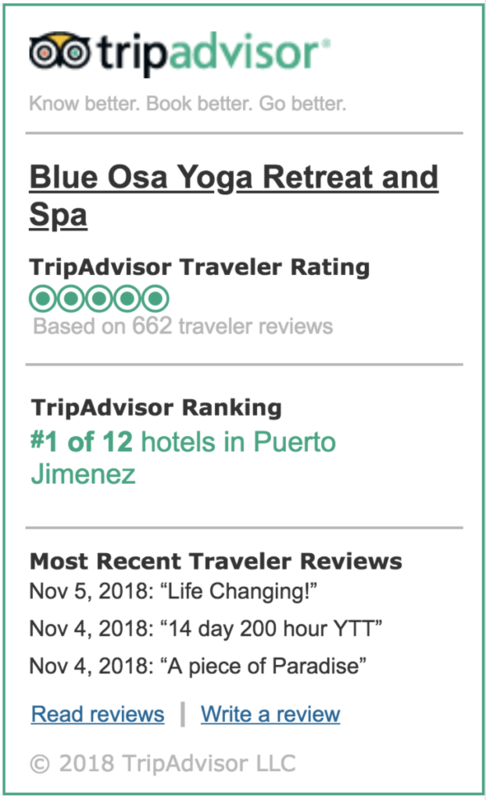 Take An Amazing Eco-Friendly Vacation To Blue Osa!